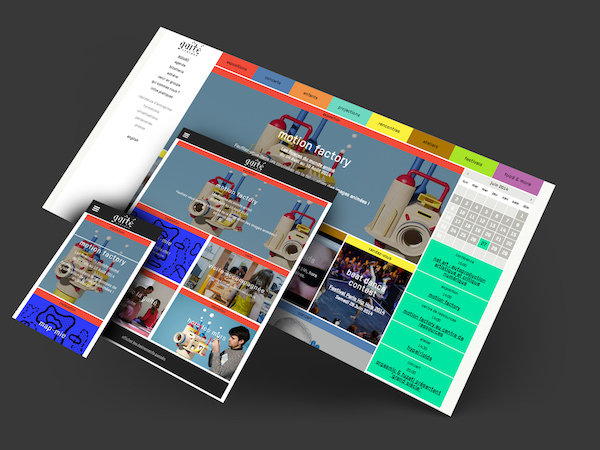 A new skin for this digital culture space in the centre of Paris. 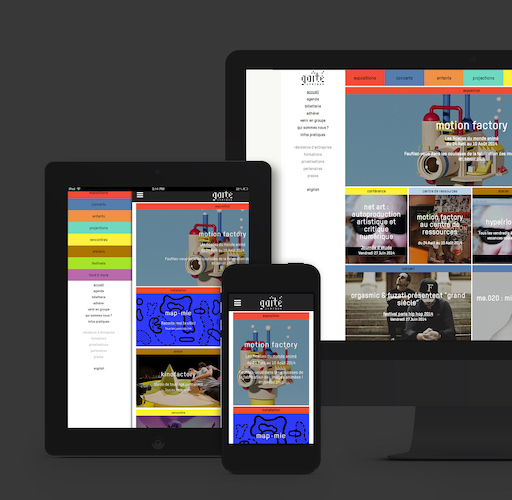 A digital culture space with platforms showcasing their full potential. 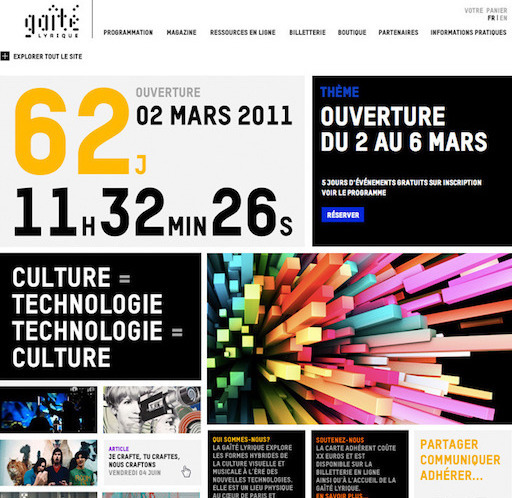 At the very beginning of my time as Digital Communications Manager at la Gaîté lyrique, I was asked to start planning a website transformation. For a space so concerned with pop cultures, the initial version launched in 2010 had a minimalist aesthetic which didn't quite reflect the appropriate identity. It was bilingual, but not responsive. Internal stakeholders: webmaster, communications team, management, etc. Qualitative feedback: dynamic aesthetic, better comprehension of the multi-disciplinary nature of the space. Improved experience for internal content team.